Although most marketers prefer cloud-based SEO software these days, desktop solutions still have a fair number of proponents, mainly due to their ability to integrate with different web based apps as well as thanks to the control they give one over data updates. 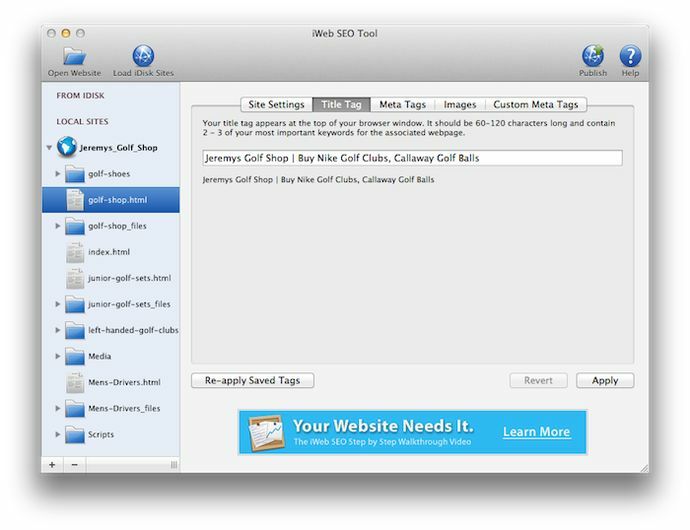 Desktop tools, in their turn, are most often designed for Windows (the influence of the zeitgeist that reigned when the first SEO app appeared), and there’s been traditionally shortage of Mac SEO tools in the market. So, if you happen to be in the desktop lover camp and you have a Mac, this roundup of the best SEO tools for Mac to use in 2014 is for you! SEO PowerSuite’s biggest strength lies in its large number of features and the flexibility it offers one in performing different tasks. social media metrics, and more. Advanced Web Ranking integrates with Majestic SEO, Moz, SEMRush and Google Analytics, from which you can pull data into the tool and analyze it there. Licenses: Starter - $49/mo, Pro - $99/mo, Agency - $199/mo, Enterprise - $499/mo. Free version: a 30-day free trial. 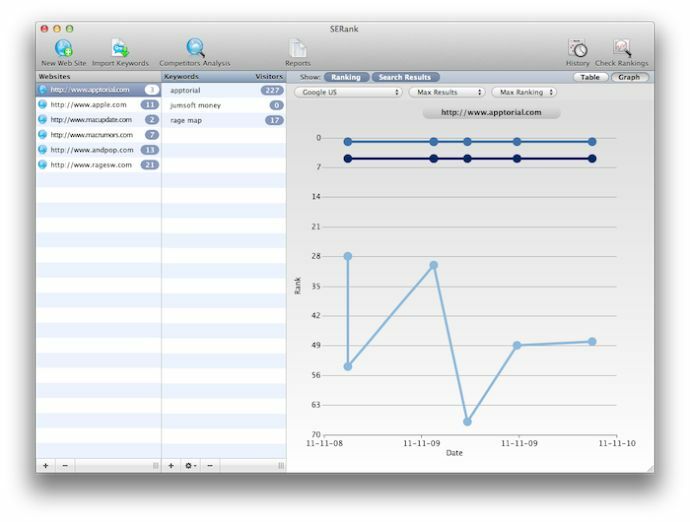 collects Piwik analytic data for the site (similar to Google Analytics). One of SEO Extract’s biggest advantages is that it makes it easy to track rankings for the same keywords across multiple domains, and to effectively match crawl stats to keyword ranking data. However, its keyword rankings are available only for the Google search engine. Licenses: Standard - $65, Professional - $169. You can then upload the site onto the Web via FTP. 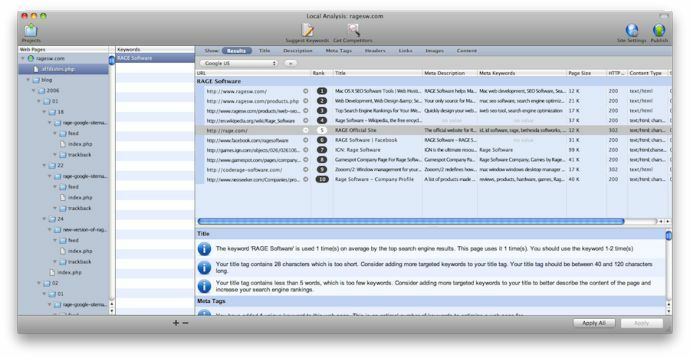 Integrity by PeacockMedia is basically Link Sleuth for Mac. 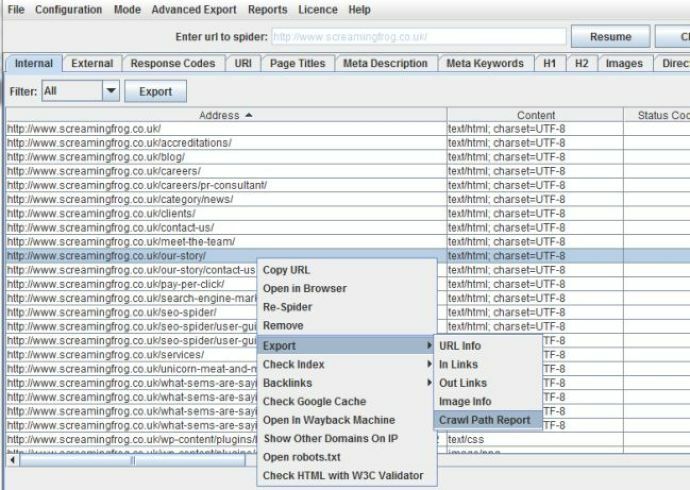 Just like Link Sleuth, it checks sites for broken links, highlights problems and also supports soft 404s among other things. The biggest strength of this app is that it works with both, the desktop and the mobile version of your site. Page titles and descriptions, and more. 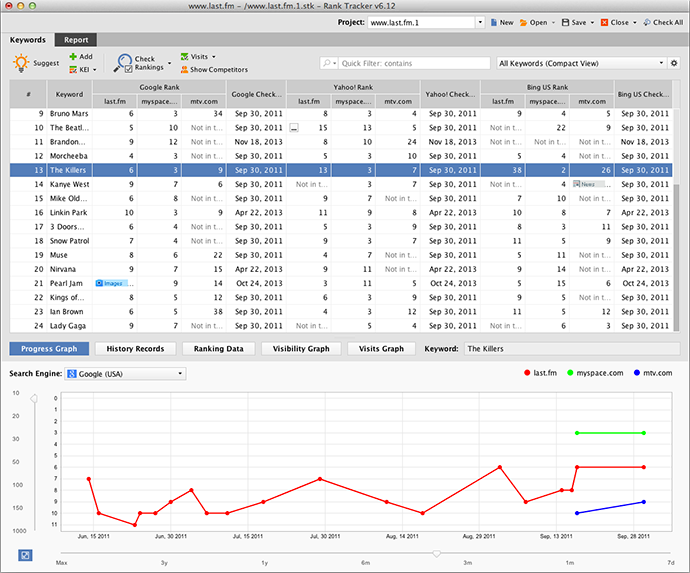 Plus, you get pretty historical ranking graphs and PDF reports for clients. 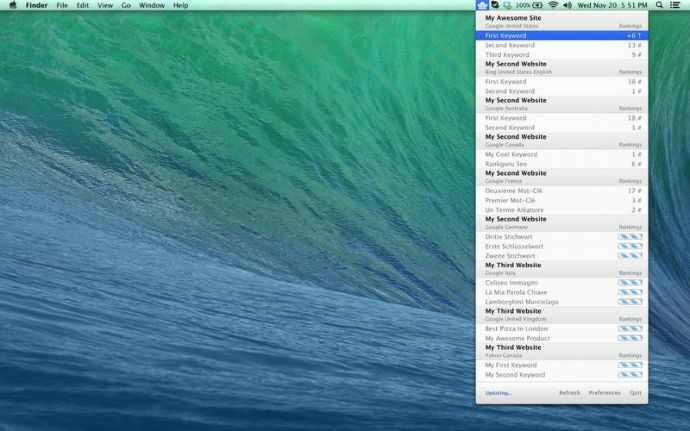 RankGuru SEO is a Mac app that enables you to check daily search engine rankings for an unlimited number of keywords and an unlimited number of sites right from your menu bar. Google, Yahoo! and Bing search engines are supported. Progress in the search engines, and more. 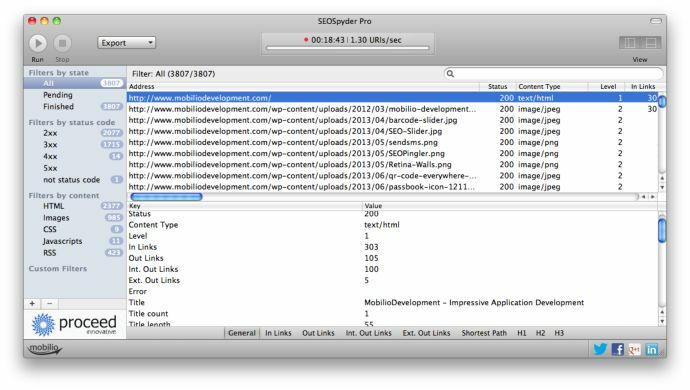 Have you encountered a great SEO tool for Mac not mentioned here? Do drop us a line or leave a comment, we’ll check it out and update the list!